1. With a unique barrel hanging electric devices, heating the air cylinder, air-heat frying roasted seeds and nuts do not char, rather, outside the ring tube insulation layer to ensure the temperature does not get lost, frying 30Kg chestnuts only 30-40 minutes, power consumption less than 2 degrees, other than domestic saving 60% speculation Li machine reached the time-saving, reduced processing costs. 2. Temperature control by the temperature controller, temperature can be adjusted to adapt to ensure a variety of roasted chestnuts and temperature requirements, a variety of dried fruits and nuts for processing foods, e.g. 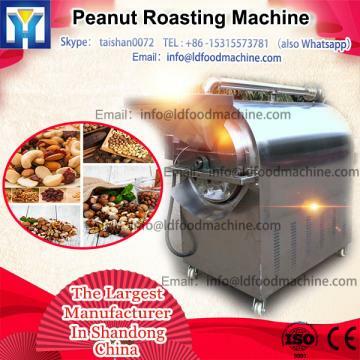 chestnut, peanut, melon seeds, pine nut, hazelnut, rapeseed seeds, beans, etc.